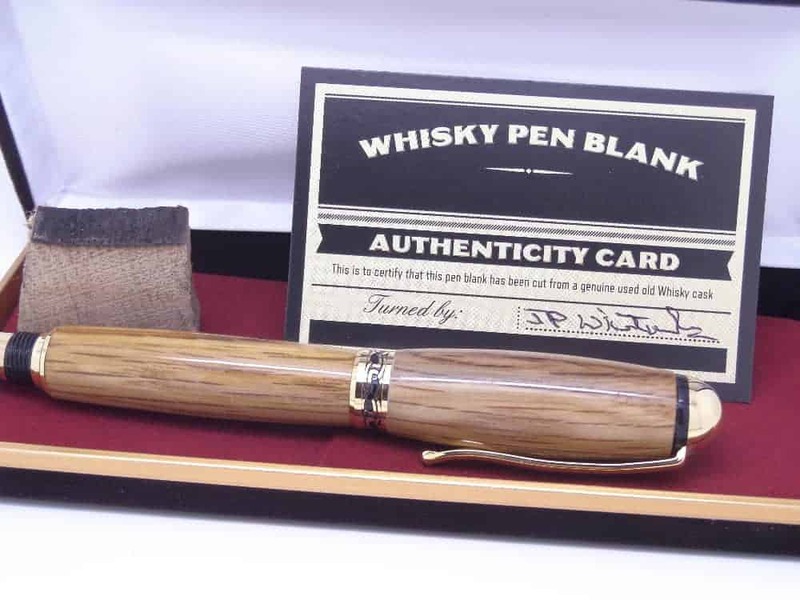 A European fountain pen handcrafted from a whiskey barrel stave. 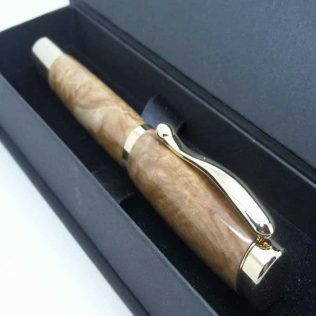 With a high-quality gold-plated trim hand turned by me on a lathe in my own UK workshops. The wood pen barrels handcrafted from an old oak whiskey cask ( to find out more about casks and Coopers please see this whisky cigar pen). 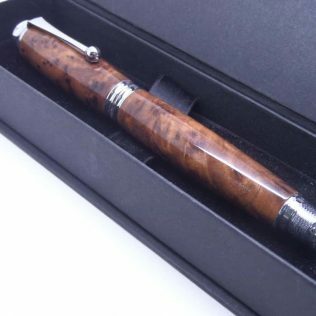 This wooden fountain pen has a good quality medium point nib and one ink cartridge to get you started straight away. 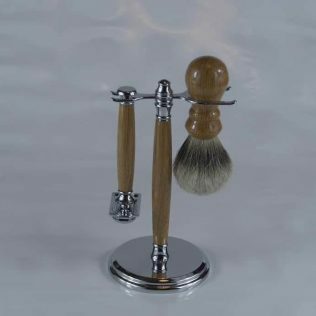 The European style is a small but elegant design ideal for people with smaller hands. These whisky cask pens have a certificate of authenticity, an upgraded pen box and an offcut of the original oak cask stave and will make ideal wooden birthday gifts or Father’s Day presents. 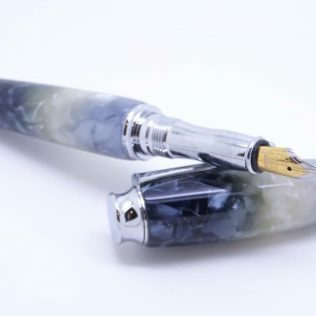 Many people say fountain pens are the best fine writing instruments. 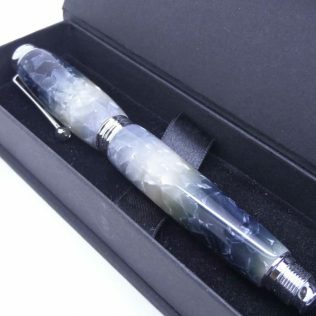 With this beautiful fountain pen, you will have an eye-catching pen perfect for smooth writing. All my pens have super glue for a high gloss hard, durable finish to protect the pen. Finishing these pens takes time and skill to apply hence my prices. 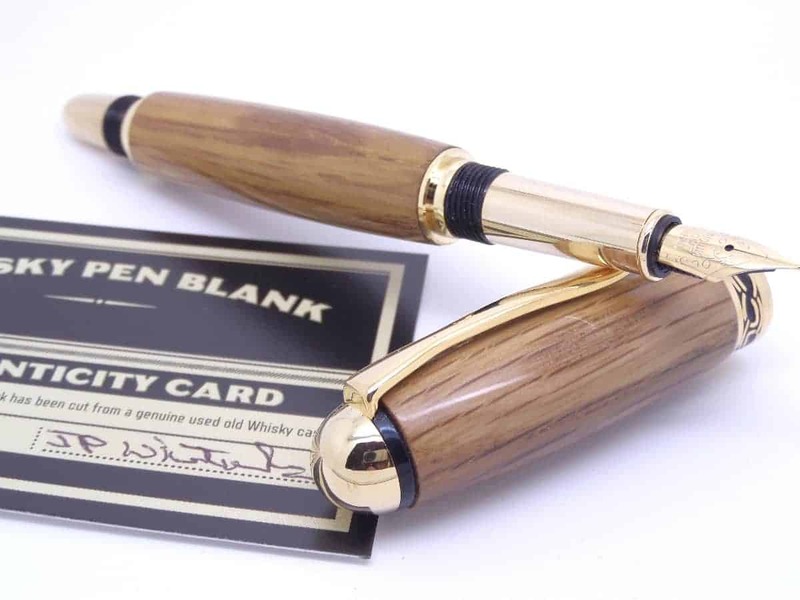 Other pens may have wax or friction polish as a finish, these won’t give any long-term protection. Natural oils from the skin will stain the pen. Each fountain pen gift comes in a presentation box as the standard. 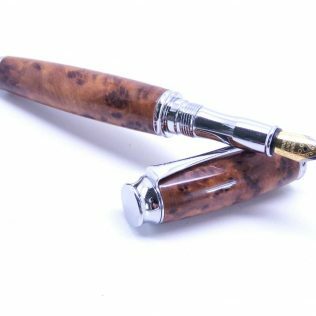 As every piece of wood is different these wooden ink pens will make unusual wooden gifts for husband on Father’s Day.